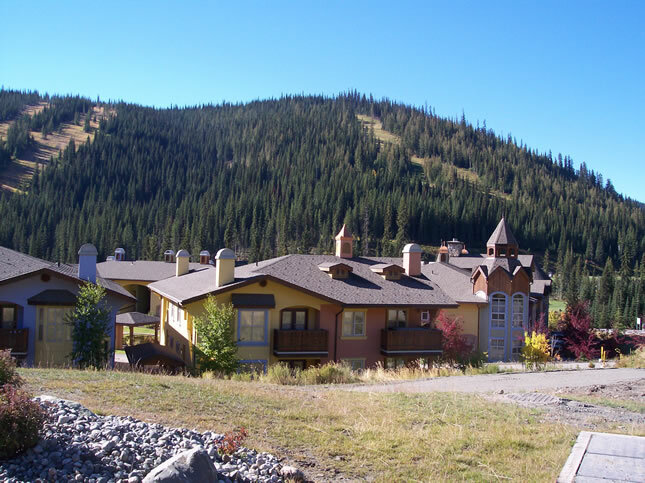 Sun Peaks Ski Resort Lodging and Vacation Planning. Sun Peaks Resort Lodging Savings & Easy Sun Peaks Vacation Planning! 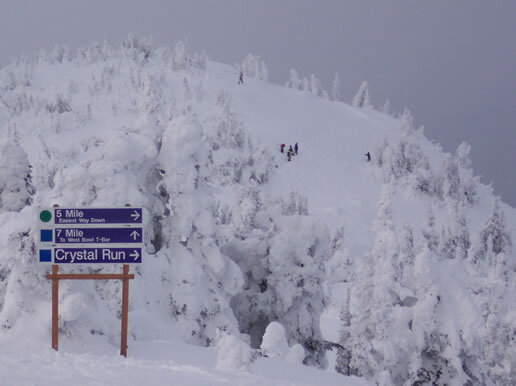 Use this Sun Peaks Resort owner-direct lodging & consumer-direct ski vacation planning directory to quickly & easily organize your British Columbia Canada ski vacation. Save money & get more Sun Peaks BC value & hospitality. Choose from our top-located, unique & personal Sun Peaks family ski homes & book Sun Peaks lodging with one of our friendly owners! View Sun Peaks Lodging Options | View Sun Peaks BC Vacation Checklist! 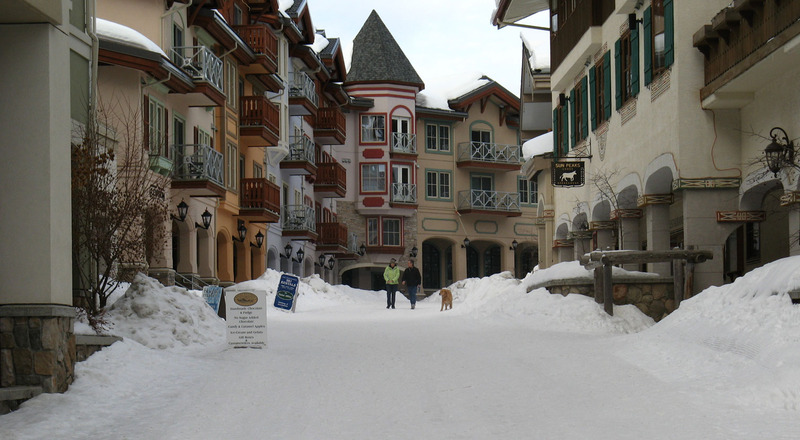 Book direct with Sun Peaks owners to avoid middle agent fees. Search our large selection of ski-in/out private BC homes using our fun & easy Sun Peaks lodging search tool at the top of this page! Book top-located Sun Peaks Mountain lodging direct with homeowners & save money by avoiding middle agent fees. Quick search 120+ Sun Peaks lodging options & view the exact Sun Peaks Resort rental home you will stay in before you book online, including detailed photos, descriptions, Sun Peaks maps, owner bios & more. Enjoy the personal hospitality & benefits of a BC family ski home and a locally knowledgeable, dedicated Sun Peaks BC owner with no other guests during your dates except you! Kamloops International Airport takes several local and a few international flights. 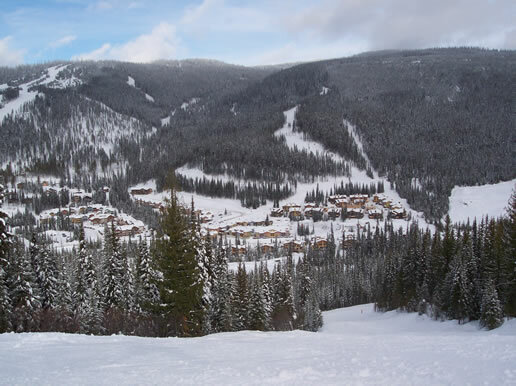 Sun Peaks BC is just a short and easy 45 minute drive from the airport. When booking flights, its worth it to shop around. Most sites allow you to select your seats and to check-in online, before you go to the airport! Wear good clean socks & get a pedicure - you may have to take off your shoes at airport security! Web Sites - check out Expedia, Travelocity, Orbitz, Priceline and CheapTickets. These sites have great prices & help you quickly compare fares! Book Direct with Airlines - lately, we have found that they have the best deals. Just go to their web sites & do some searches. In addition to your favourite airlines, be sure to also visit Air Canada, Alaska Airlines, West Jet and Tango. They have great fares! Travel Agents - Check-in with your local travel agent for fares. Book your lodging and flights on the same day and book early. Availability on our site changes by the minute! We highly recommend that you rent a car from Kamloops Airport, mostly because of the convenience, savings and selection that comes with buying your groceries & beverages in Kamloops, on your way up to Sun Peaks! Here are some recommended BC companies that are situated in the airport, close to the baggage pick-up counter. Again, shop around for the best price. Be sure to check online, as well as on the phone. Sometimes you can get a better price one way or the other (internet and phone prices are sometimes not consistent). SunStar Shuttle is available from Kamloops to Sun Peaks Resort. The shuttle departs both the airport and Sun Peaks Resort nine times a day. Children 10-years and younger travel free with an accompanied paying adult. Our BC ski resort experience has revealed that guests who take lessons generally have extraordinary ski vacation experiences, compared with those who do not. Taking lessons is worth it. We recommend that you take lessons at least 2/3 of the time that you are at Sun Peaks, or at any ski resort. Get lift line priority, quickly gain confidence, get to know the mountain really well, and ski/ride with people of your own ability. 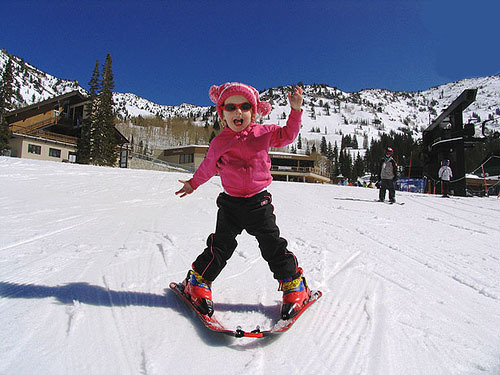 Sun Peaks BC has an excellent Sun Tots program! Book early to avoid disappointment! Check your credit card accessory services options - sometimes travel insurance is included, or can be purchased at rock bottom rates! Check your life insurance policies - you may already be covered for medical and may not have to buy those components. Check www.insuremytrip.com to compare options and to buy it online. Leaving it to the last minute - you can buy it at most airports! Whatever you do, don't leave home without it! We recommend buying tickets at the window, since the pre-booking discount is so measly, and there is a pretty good chance that you are overestimating the number of days that you will ski/ride. Buying too many tickets wipes out your savings and more! Take it a few days at a time and only buy 2-3 day passes at the ticket window. That way, you can take an unexpected day off due to weather or fatigue, without being penalized on a multi-day pass! If you are coming to Sun Peaks BC for more than 8 days, then you should buy a season's pass, but do so before the middle of September for best pricing. 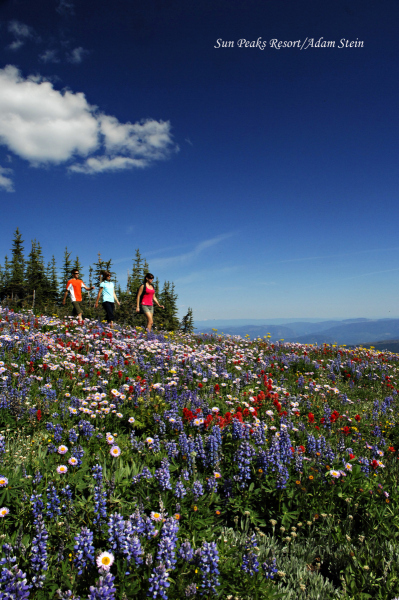 Take the Free Sun Guide Tour - You will get to know Sun Peaks mountain really fast and learn all the local secrets! Tours depart daily at 9:15 am and 1:00 pm. Or Ski with Olympic Champion Nancy Greene for a world class experience for all abilities and ages. Meet up with Nancy at the top of the Sunburst Chair. Take Sun Peaks Skiing/Riding Lessons - Quickly improve your ability and confidence to ski/ride more diverse terrain, get more skiing/riding time with lift line priority and ski/ride with people of your own ability. It is fun and there is nothing like the joy of personal sport improvement! Keep your Feet Warm - Make sure that your liners are always dry. Rip them out of the shell and dry them by the fire in the evenings if you have to. Ensure that your socks are dry at all times, and get proper thermal socks. Keep your Hands Warm - Get gortex gloves with warm liners. Pre-treat your gloves with Nik-Wax for extra waterproofing. We highly recommend that you pick up the bulk of your groceries & beverages in Kamloops on your way to Sun Peaks. There are smaller grocery stores in Sun Peaks, however, selection is limited and you are paying a premium! Here are some conveniently located Kamloops BC grocery stores, just a few minutes from your driving route between Kamloops Airport and Sun Peaks BC. Safeway - Open 7am until midnight, 7 days/week. From the Airport-Drive out of the airport and turn right on Tranquille Rd. Follow Tranquille Rd until it runs into Fortune Dr. It's on your left side. Costco in Kamloops is a great place for meat, cheese, prepared foods and just about anything you are going to need! You need a Costco membership card. It is located in the southern part of Kamloops, off of the Trans Canada Hwy #1, take the Pacific Way exit and turn right on Versatile Dr.
Buy your liquor in Kamloops before you head up to Sun Peaks - you will get more selection and at better prices. If you are shopping at Safeway on Fortune Dr., the closest liquor store is the North Kamloops Liquor store across the street. Sun Peaks Snowmobile Tours - for thrill seekers and families. Two hour tours depart daily at 8:30am, 11:30am & 2:30pm. Four hour tours depart daily at 9 am and 12 noon. 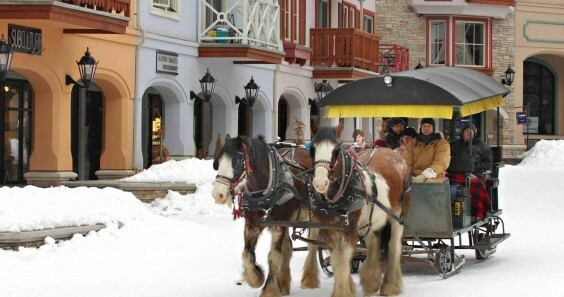 Sleigh Rides - Village sleigh rides every evening. Cat Trax Groomer Rides - Wanna be a groomer? Check out what it's like - nightly tours available, must reserve before 3pm so the grooming team can plan their routes. Backcountry Cat Skiing - a terrific way to get to get to know the back country. First Trax Breakfast - Enjoy a huge buffet breakfast at the Sunburst Mid Mountain Restaurant followed by the first runs of the day! This event is held every Wednesday during the ski season. Advance reservations are required as well as a valid lift pass for the day. Kayak Tours and Rentals (summer) - Take an inflatable kayak made for two out on the water on your own or join a group tour. Trail Rides (summer) Giddy'up and trot through the Sun Peaks back country on horseback. Tours range from two hour village loop tours, half day trail rides, evening rides or even overnight rides to McGillivray Lake. Exploding Bottles - We're Serious! Sun Peaks is at a much higher elevation than most BC ski resorts and the pressure change is going to wreak havoc in your suitcase! Whether you are flying or driving to Sun Peaks BC, that last 45 minutes from Kamloops to Sun Peaks will cause your plastic bottles to explode & liquids/creams to leak out of their containers! Wrap and seal all bottles with liquids or creams in plastic zip seal bags! Here are some great suggestions of things to remember, that we find many people tend to forget! Sun Peaks BC Check-In Information - Remember that there is no front desk service, as you are renting owner-direct Sun Peaks rentals. The owner will send you complete check-in & emergency contact information by e-mail upon final payment. If you do not receive this information immediately, please contact the owner to get it. If you cannot contact the owner, please contact us for assistance. Never Leave Home Without Check-In Information & Keep it in Carry On Luggage - Always remember to pack the check-in & arrival instructions with your carry-on bags, so that you are not locked out in the event that your luggage is lost! Knapsack - this really comes in handy for any vacation and is highly recommended for extra gloves, socks & snacks. Warm Boots with Huge Treads - It snows like gangbusters in Sun Peaks BC! It can also be cold, so keep your feet warm with proper footwear for aprés activities and walking! Favourite DVD’s, CD’s and videos. High quality lip balm. Apply it several times daily to avoid chapped lips. Sun Peaks is extremely dry. High quality moisturizer. Sun Peaks is very dry. Helmets for kids. Sun Peaks runs out of them! Powder leashes there is lots of powder and losing your skis would be a big drag! Bring Gortex - you need waterproof gear. Kids Hands & Feet - Bring warm outer gloves and inner liners. Bring multiple gloves and liners and keep them dry. Treat your Gortex prior to Arrival - Follow the manufacturer's instructions for re-conditioning your Gortex gear. We also recommend Nik Wax for Gortex gear and especially for gloves. Kids Boots - Keep them dry at all times or your kids will have non-stop cold feet. Rip the liners out and put them by the fireplace at night to ensure that they are totally dry in the morning. Kids Socks - Pack multiple socks into their daypacks. Dry feet=warm feet! Check out the Weather Links Below! It is a 45 minute drive from Kamloops Airport to Sun Peaks BC. Here are some valuable tips! Animal Hazards - Be wary of deer, moose and other wildlife, including cattle - especially on Sun Peaks Road. Whether you hit a deer, a moose or a cow, you and your car can get demolished at even slow speeds. Gas Up - in Kamloops. There is no gas station after you pass Heffley Creek General Store and start your journey up to Sun Peaks, including in Sun Peaks. Running out of gas is a reality if you do not leave Kamloops with a full tank! Wiper Fluid - Make sure that you are totally topped us, with a spare jug in the trunk! Weather changes rapidly on the high mountain roads and it can get messy! Bathroom Breaks - Before you leave the airport, or in Kamloops. Arrive & Drive in Daylight Hours - the highway is complex and weather changes quickly. Expert Drivers Only Please - this is not a drive for the faint of heart. Don't Speed - it's risky to your pocketbook and your safety. Don't Tailgate Logging Trucks - take this advice seriously, or kiss an old growth log coming through your windshield.